Does your student have learning gaps in math? Are there things you’d like them to practice further in order to master? 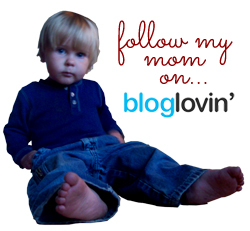 Then I have the perfect solution for you today: Math Mini-Courses from A+ Interactive Math. For the past several weeks, Seahawk and Munchkin have been working through some of these mini courses, and let me tell you… they’re pretty great. We’re no strangers to A+ Interactive Math. I think they’re a great company because they offer a full range of math solutions from a full curriculum with books and workbooks (or entirely online, your choice) to supplemental maths like the Mini-Courses I’m reviewing today or their Adaptive Placement Test with Individualized Lesson Plans designed to close learning gaps, which I reviewed about a year ago. Surely there’s something in their course list that will fit the needs of every family. So, what is a Math Mini-Course, anyway? It’s a series of lessons (the two I’m reviewing had 20 lessons each, but the number varies depending on which Mini-Course you select) all surrounding a single subject. Each one takes about 10 minutes to complete, and in those ten minutes your student gets a video lesson (nothing to teach on your part!) and an interactive worksheet to make sure they understood what the video taught. It’s incredibly user-friendly; all you have to do is log in and click the appropriate lesson. The video starts automatically, and the interactive worksheet is super easy to find at the end of the lesson. Don’t let the “mini” in the name fool you. These courses are very comprehensive. The Decimals class that Seahawk starts easy, with a basic introduction of what decimal numbers are and why we have them. By the end of the 20 lessons, students will have learned how to multiply and divide with decimals, convert decimals to fractions and back again, and play a game with money. 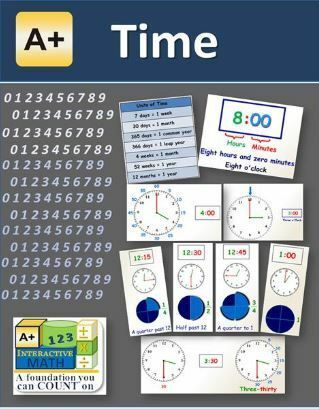 The Time unit covers a wide variety of time-related topics, including things beyond the clock the we (I, anyway) don’t always think about when I’m considering teaching the children “how to tell time.” These are things such as days, weeks, months, years, and seasons. I tend to get bogged down with the actual clock, so it’s nice to have other (and dare I say, more competent? lol) teachers who remember the big picture. Something to remember with these units is that they should be treated as supplemental to an existing math curriculum. In our case, this is a basic textbook. Because the Mini-Courses are each based on one narrow topic, they can’t stand alone as a full curriculum. They should be viewed as what they are, which is a tool to help your student close a learning gap in a particular area. For this purpose, they’re amazing. My boys have done a great job at retaining the information they’ve learned from this program over the past few weeks, and that’s a win for me. Since we used this product as a supplement, we didn’t do it every day. 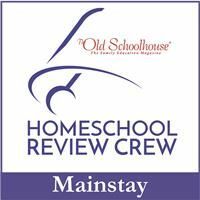 I had the boys work through their textbook lesson each day, and then they would alternate the two supplemental programs we were/are using. One would happen on Monday, Wednesday, and Friday; the other on Tuesday and Thursday. Since we’ve finished up one of those supplements, they’ll bump up their use of A+ Mini-Courses for a few weeks more until they’ve finished them. As much as the kids and I liked this program (and we did like it, especially the kids – they often tried to get me to let them do this instead of the textbook rather than in addition to it), no program is perfect, and this one is no exception. However, the “problems” are barely anything, and have more to do with the execution of the actual website than the material taught. The main problem we had with it is that each day we had to remind the program that we’d already completed the previous lesson before it would allow us to start the new one. That’s not so hard to do, but it would be nice if you didn’t have to do that. Having it know that the student made it all the way through the video and completed the questions would be nice. Short of that, having the “update my progress” button at the end of the lesson be more prominent and user-friendly for kids would be a reasonable substitution. Again, not a deal breaker, just something that would make a great product even better. 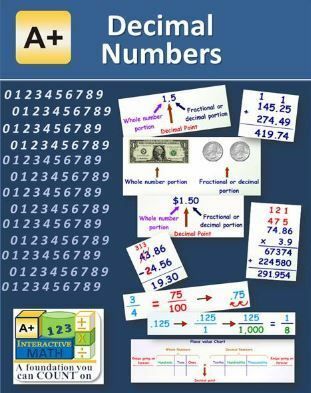 There are loads of different Math Mini-Courses from A+ Interactive Math being reviewed on the Crew blog this week, so if your students need help with something other than Time or Decimals, make sure to check out the A+ site for more info or the Crew blog for 79 other reviews of this product.